The slow, steady business of the cranes outside Andrew Neumann’s window sounds so much more interesting the way he describes it. 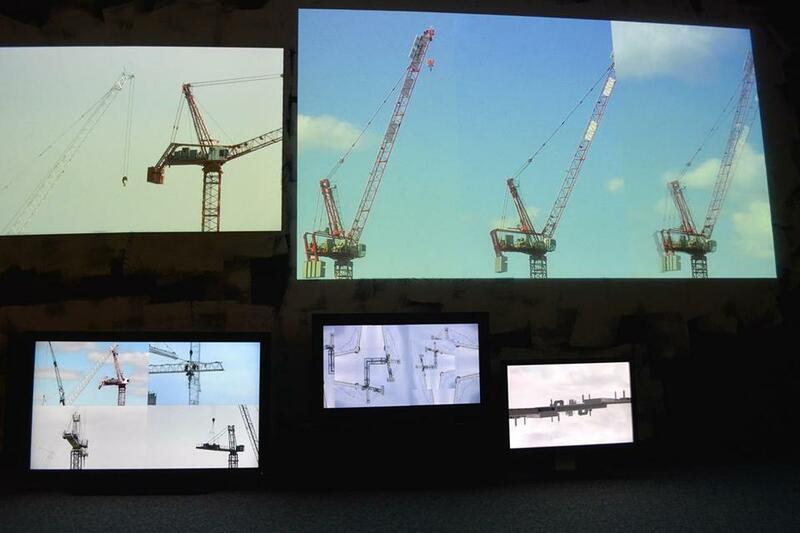 Though Neumann has been able to use the footage for other projects, the Children’s Museum exhibit specifically uses five looping feeds — two projectors and three monitors — of everything from storm cycles to freaky crane shapes made in post-production, all using the same crane footage from the same studio window. The work is meant to mesmerize the young and old, Neumann says, but it’s not without its deeper meaning, even for video of construction. Now that the boom is moving out of view, taking the cranes with it, Neumann sees himself closing up the camera sometime soon. That doesn’t mean there’s not more left to build with the materials he already has, though.